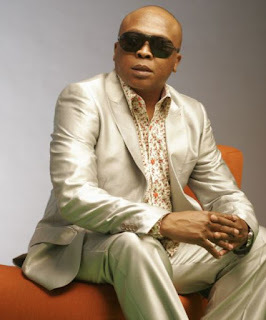 The RiSA office has learnt with sadness the passing away of Afro-pop hitmaker Robbie Malinga yesterday afternoon. Robbie who was also known as Insimbi has been unwell for the past year and he succumbed to ill-health on Christmas Day in Johannesburg. "We send our condolences to his family, especially his wife Ann and the two children. We also sympathise with Robbie’s collaborators and colleagues in the music business. Our hearts also go out to the legions of fans who Robbie has given countless soundtracks of their lives," reads a statement released by RiSA. The gravel voiced crooner was a highly decorated SA Music Award winner taking home top honours including Best Producer with his own projects as well as recordings he either composed, arranged, produced or sang in – in some cases he would do all four as a mark of his versatility and talent. Comments Nhlanhla Sibisi, RiSA CEO: ‘To say Robbie Malinga’s death is a loss will be an understatement. This was one of the best this country has ever produced. A lot of musicians owe their successes to his magic touch as a producer, composer, arranger and vocalist. He was one of the most sought after hitmakers in this country. ‘His death is a definite end of an era and a sound we will not forget soon, what a devastating loss. We can never tell the South African music story without giving him a prominent mention,’ he says. Robbie who is from Meadowlands, Soweto started his career in the 90s playing keyboards for bubblegum musician Freddie Gwala of Amadamara fame and the group Platform 1. He was one of kwaito pioneers with his group Vardos from the East Rand. His solo outing Insimbi placed him in the top league of the genre. He teamed up with Doc Shebeleza to start RoboDoc in 1999 producing monster hits like Ebumnandini and Skumfete. As a producer he contributed in shaping careers of artists like Zahara, Brickz, Brown Dash, Kabelo Mabalane, Arthur Mafokate, Ntando, Nhlanhla Nciza, Izinyoka, Mzekezeke and Sbu of Amalawyer fame. He helped discover Malaika. Robbie worked with Lebo M to remix Lion King to Umhlaba Wabantu for local audiences. He also produced Bhakaniya, the Orlando Pirates theme song for their 70th celebrations. He also lent his magic to superstar group Stimela, the late great Jabu Khanyile and gospel veteran Deborah Fraser. Some of his more recent hits include duets with musicians Naima Kay (Sokwenzenjani and Sweetie Lavo), Kelly Khumalo (Sobabili and Baby Please), Musa Sukwene (Mthande) and Karabo Mogane (Sondela). He was also the winner of the Mzansi Magic talent search show Clash of the Choirs in 2015 where he represented KwaZulu-Natal province. Details of Robbie’s memorial and funeral have not been announced yet. The hit factory may be closed, but the music will live on. We honour you Robbie Malinga!